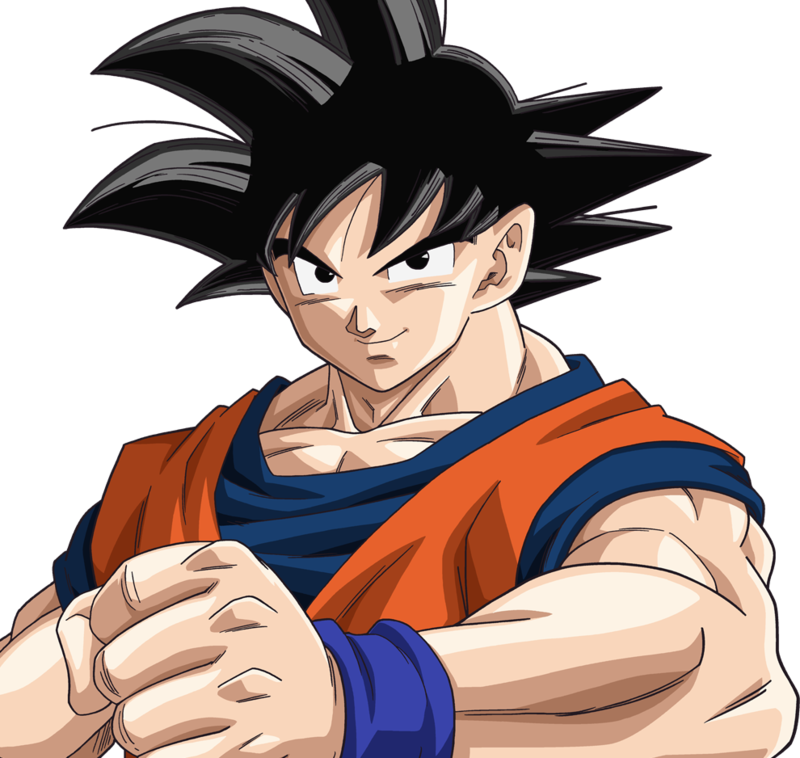 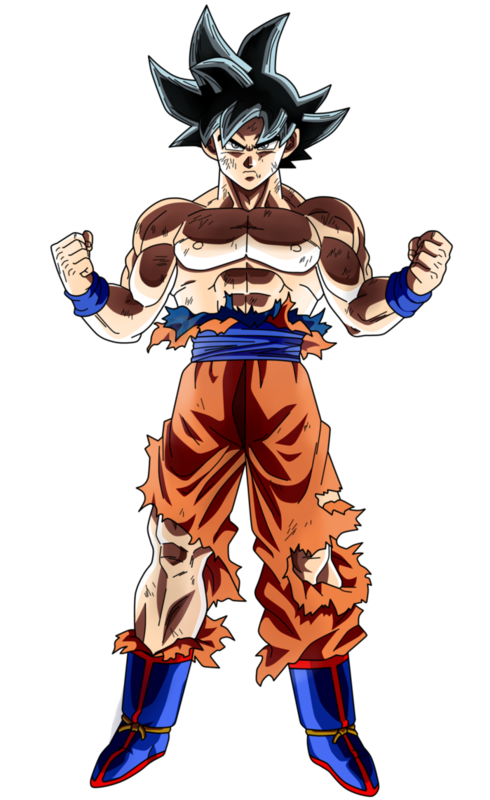 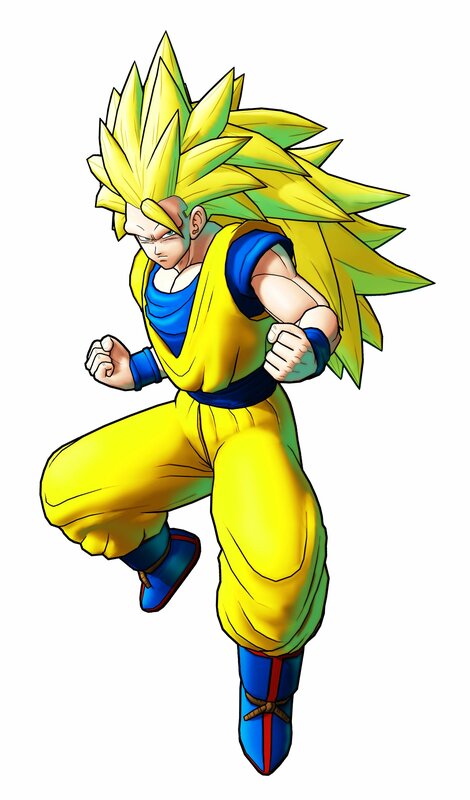 Son Goku, born Kakarot, is a male Saiyan and the main protagonist of the Dragon Ball metaseries created by Akira Toriyama. 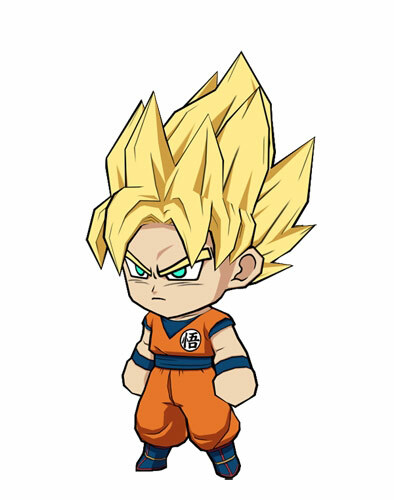 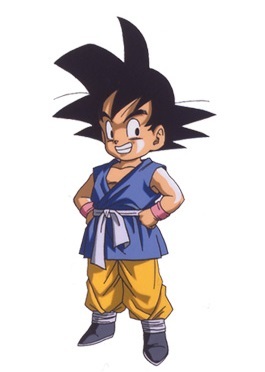 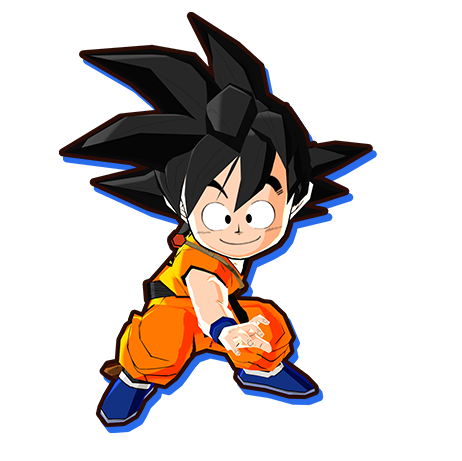 Cheerful, tenacious and also a bit naïve, Goku is a Saiyan originally sent to Earth as an infant with the mission to destroy it. 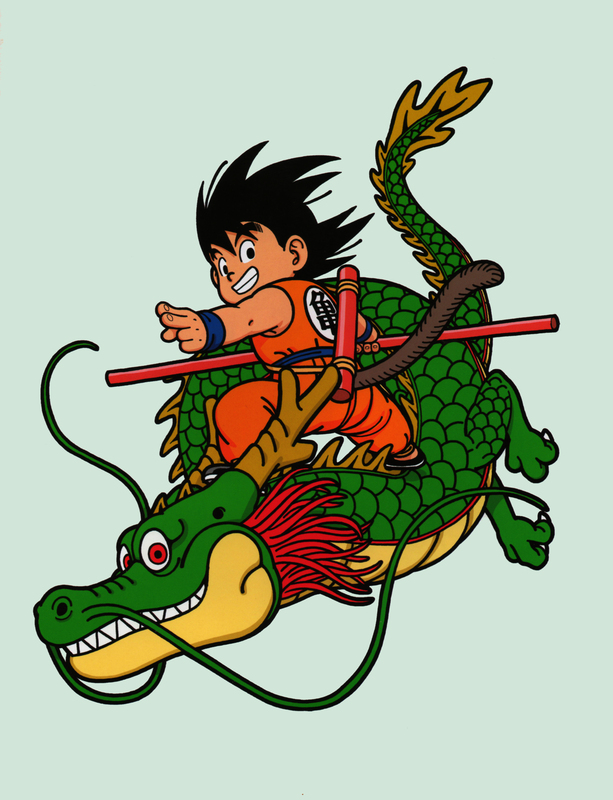 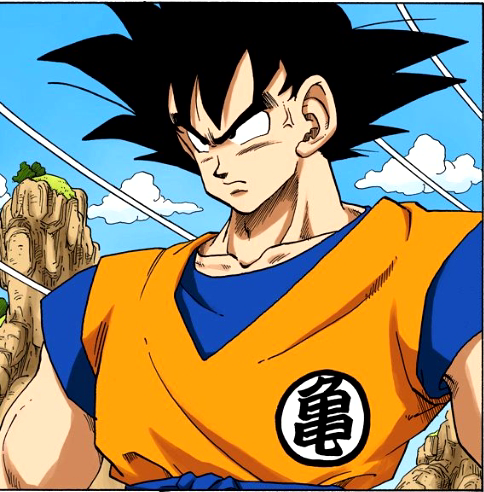 However, an accident alters his memory, causing him to grow up pure-hearted and later become Earth's greatest defender, as well as the informal leader of the Dragon Team. 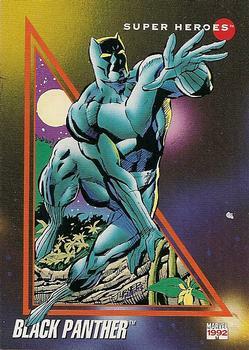 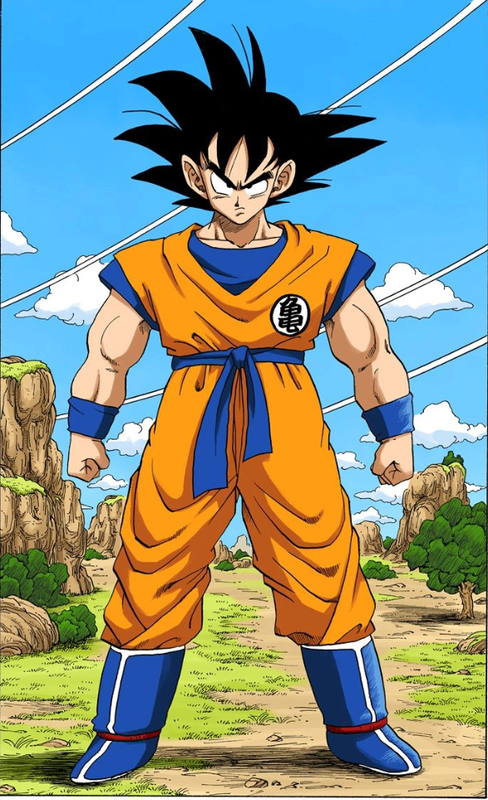 Throughout his life, he trains hard and constantly strives to be the greatest warrior possible and to fight stronger opponents, which has kept the Earth and the Universe as a whole safe from destruction many times. 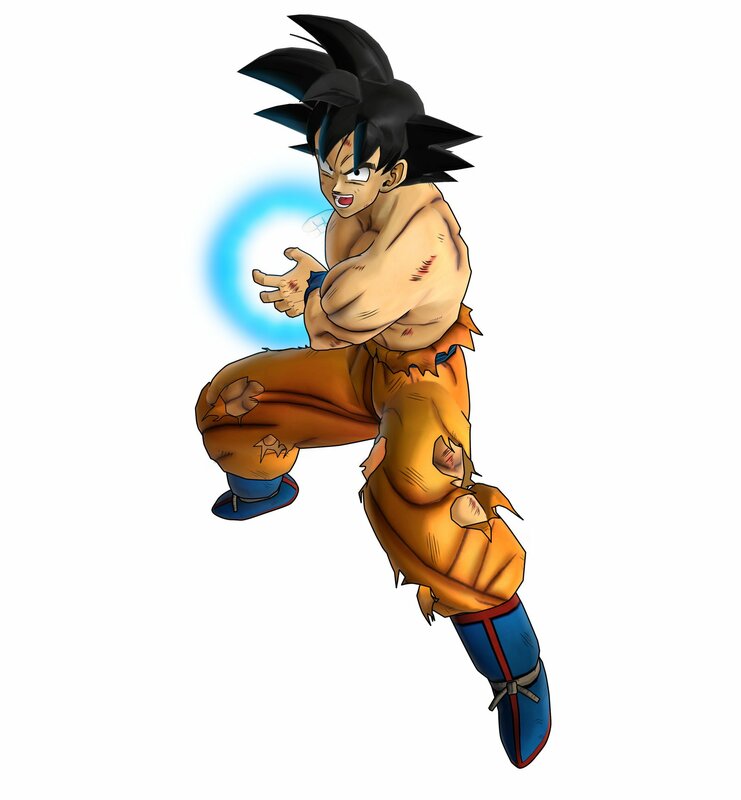 Super Saiyan Blue Goku is his most powerful transformation. 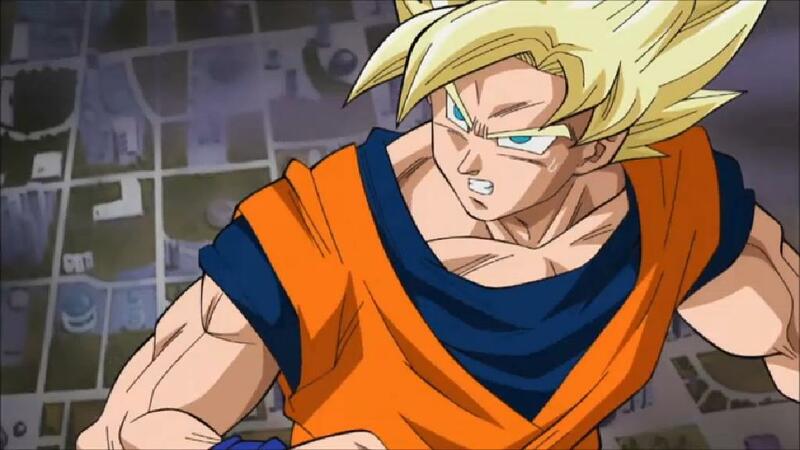 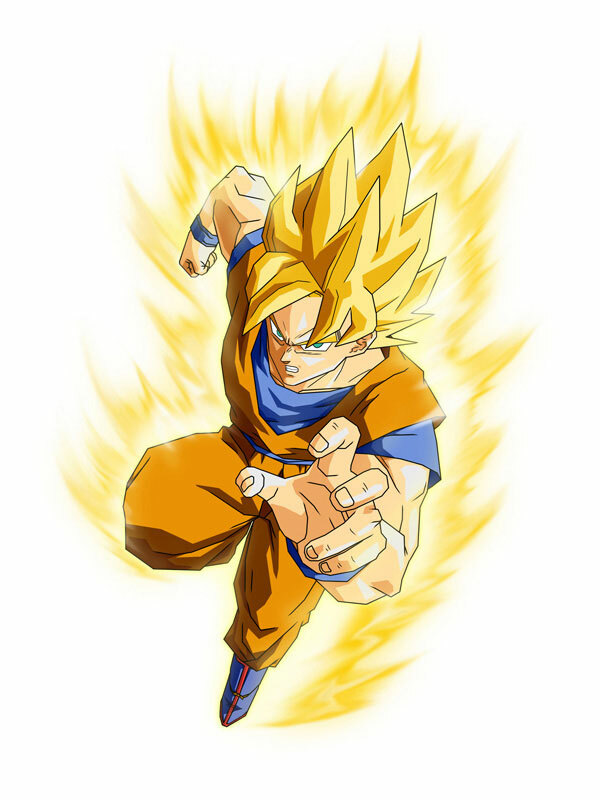 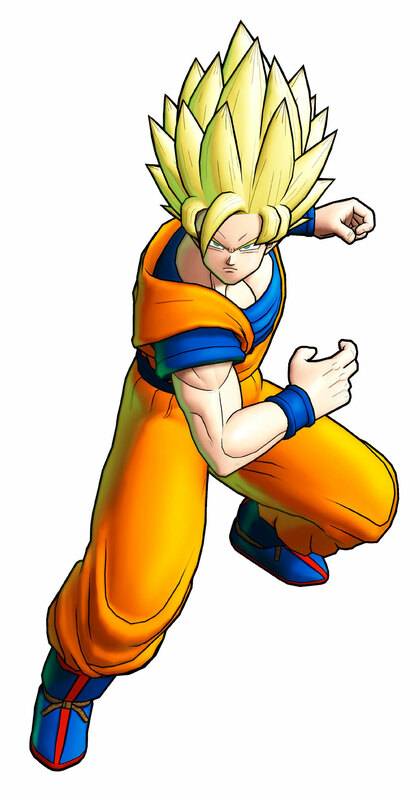 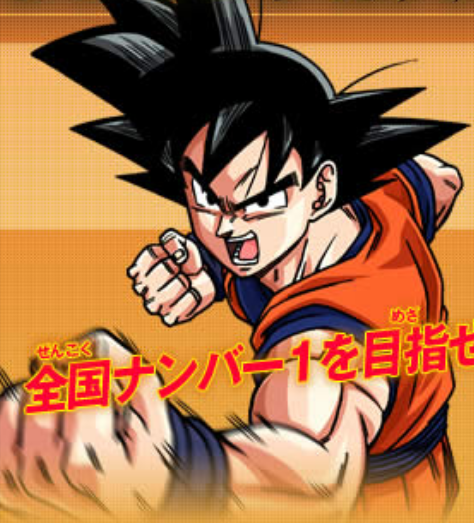 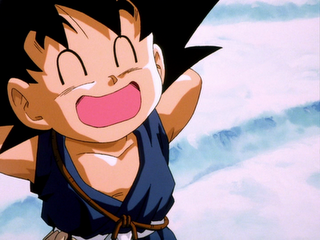 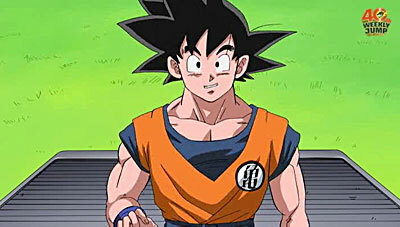 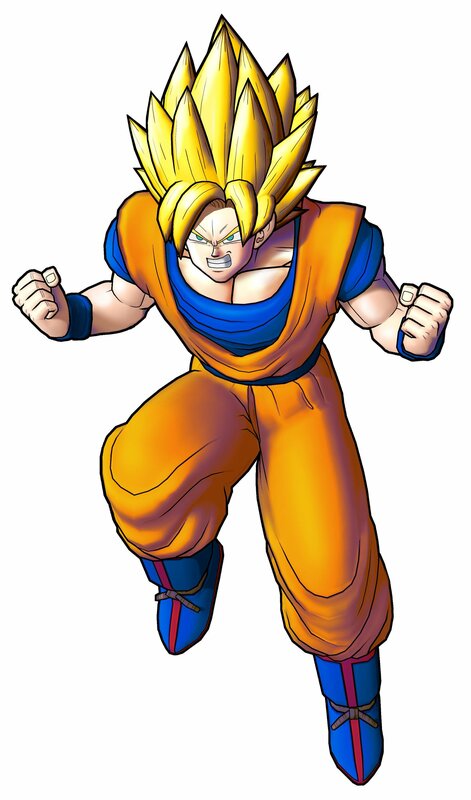 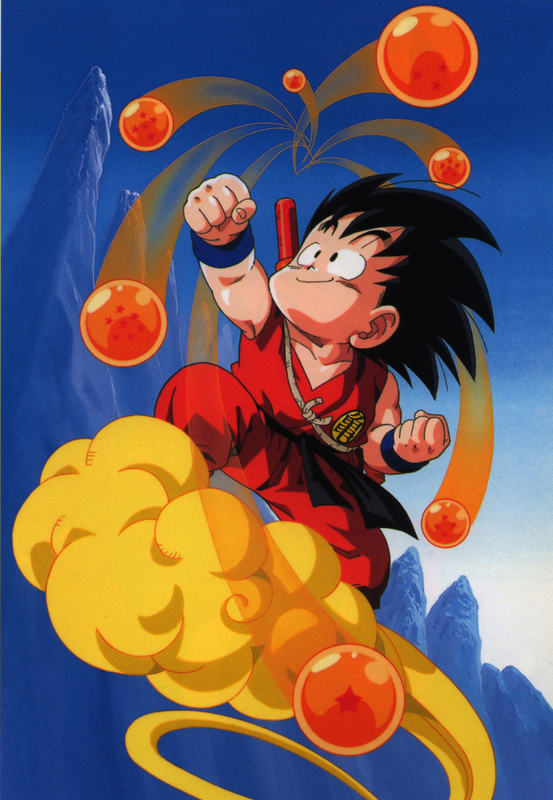 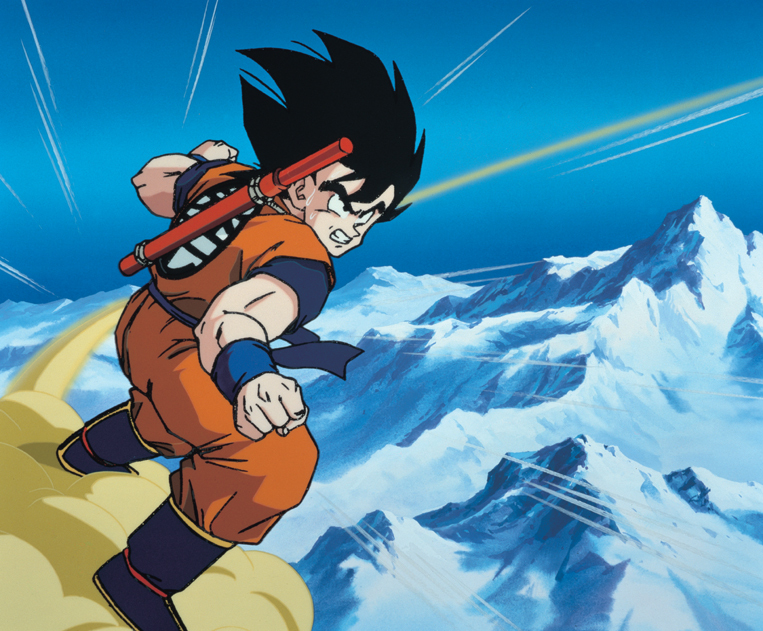 Like most Saiyans, Goku loves fighting, and loves to challenge strong opponents. 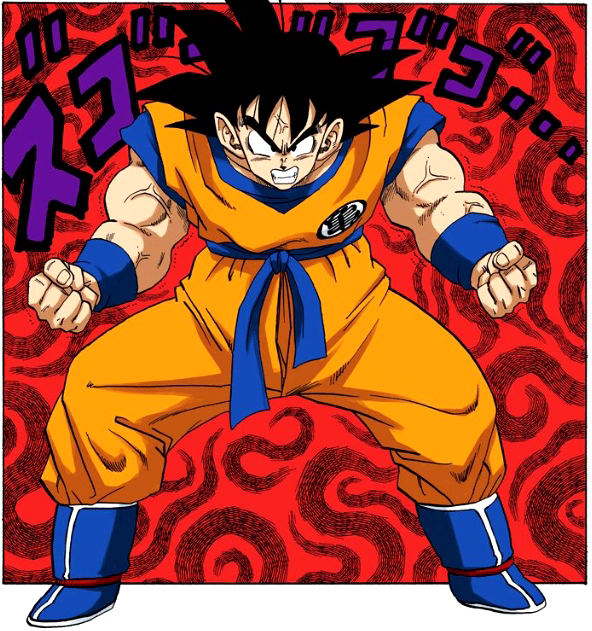 As such Goku rarely shows nervousness or fear when fighting. 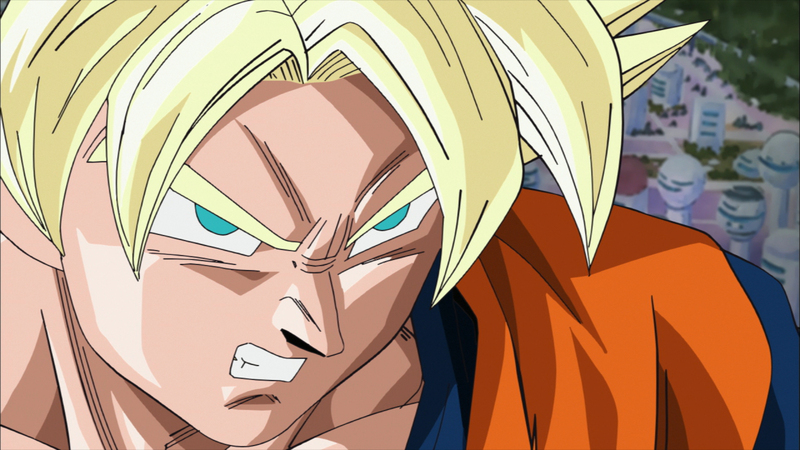 Though he has admitted to times facing foes that leave him genuinely afraid, such as Golden Frieza. 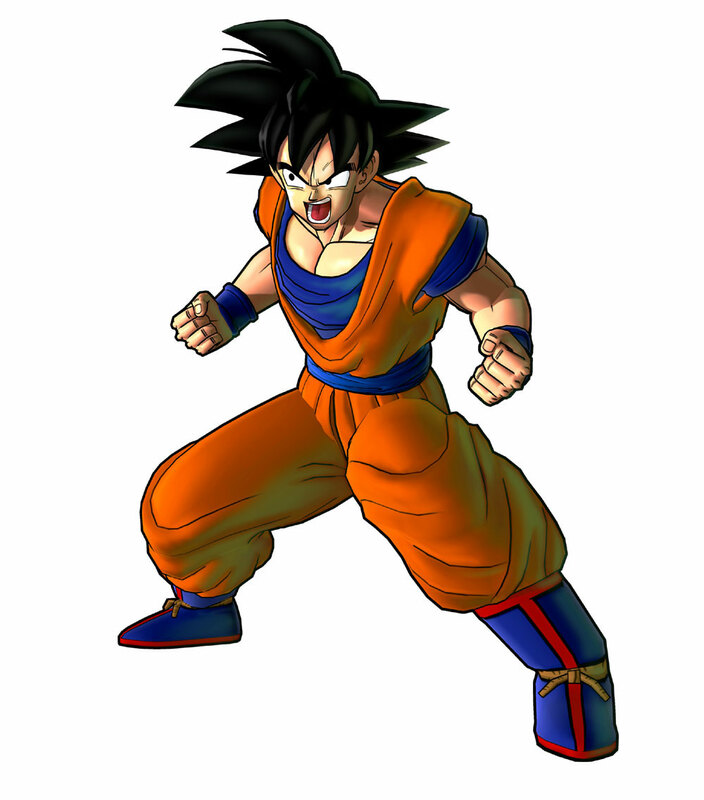 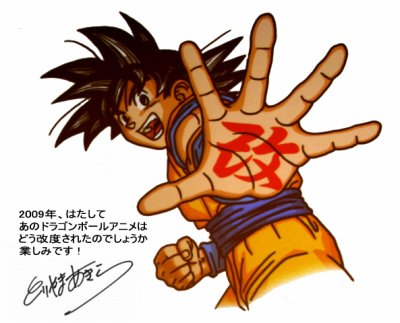 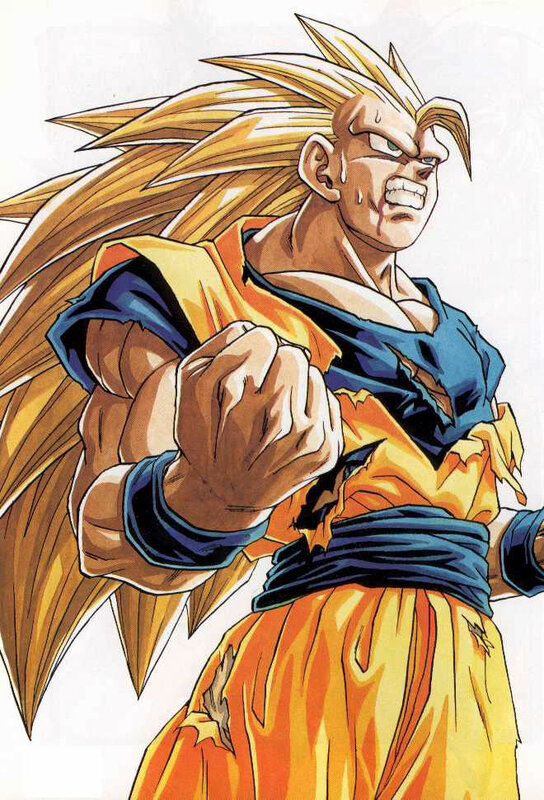 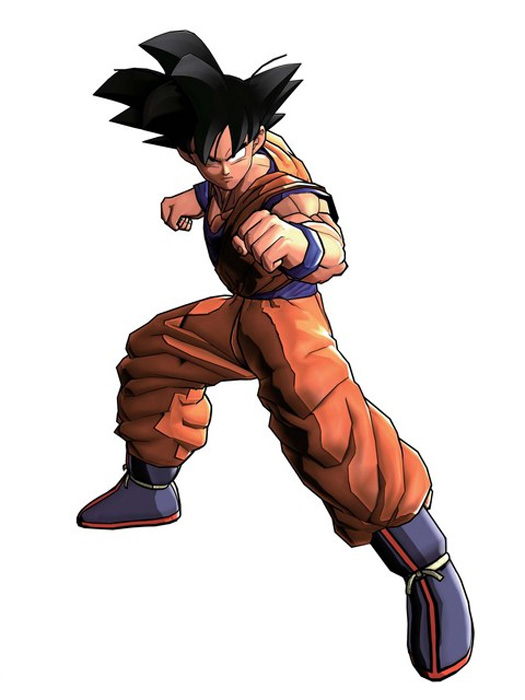 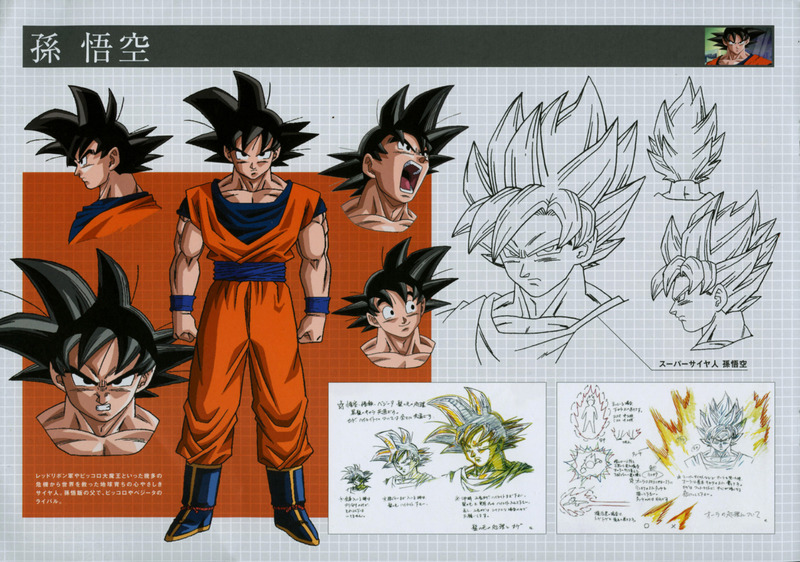 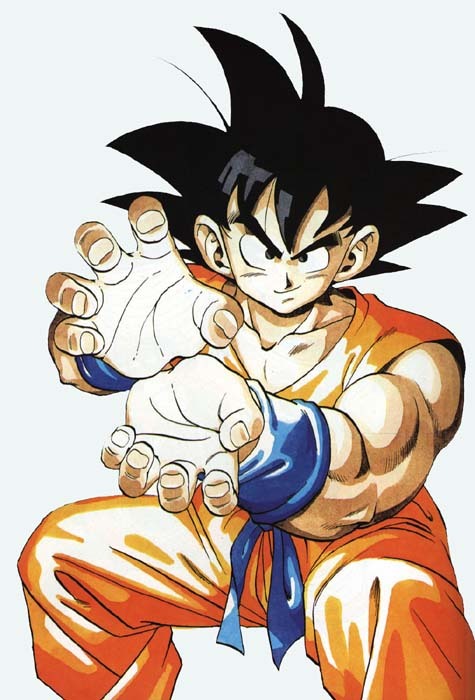 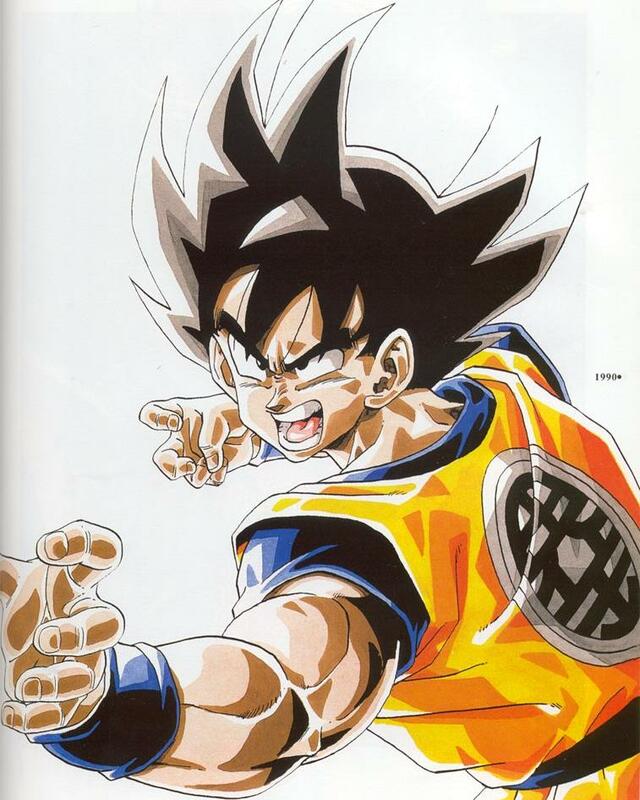 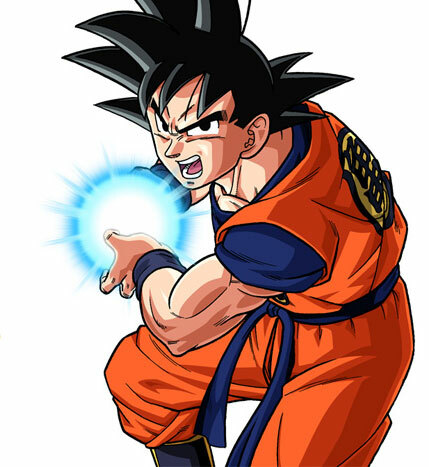 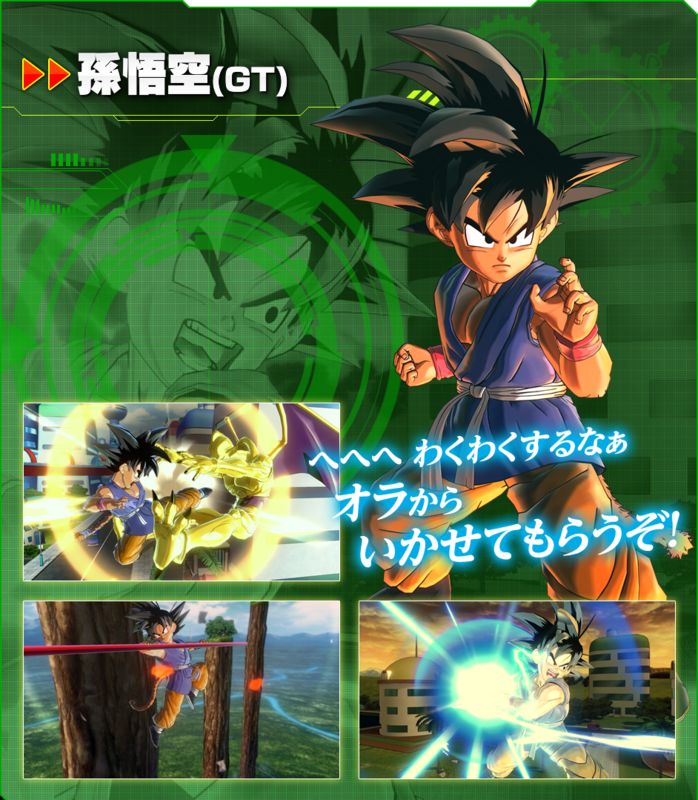 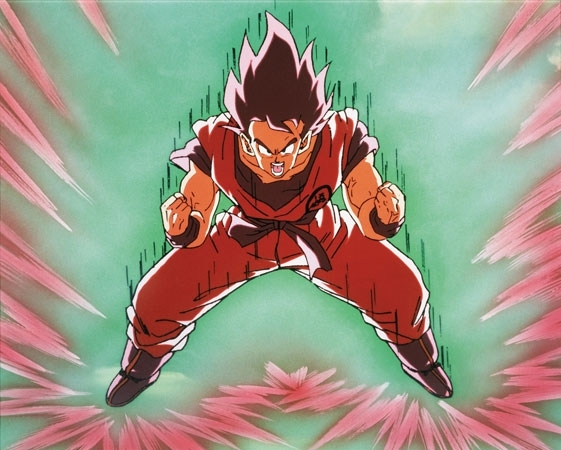 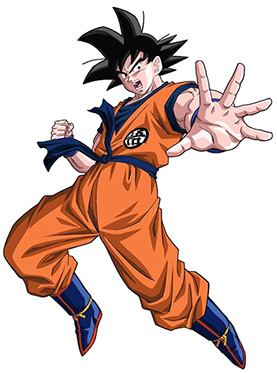 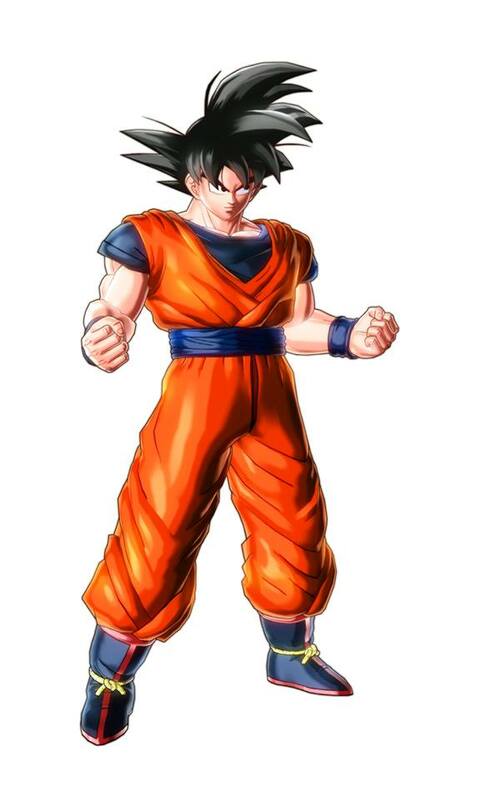 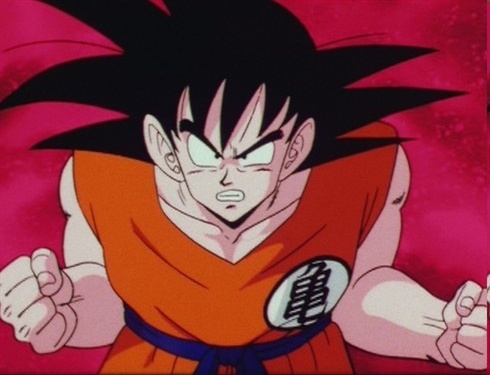 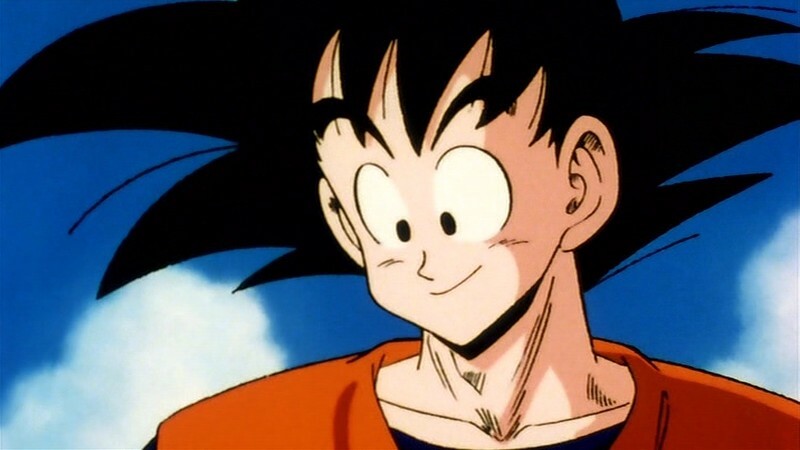 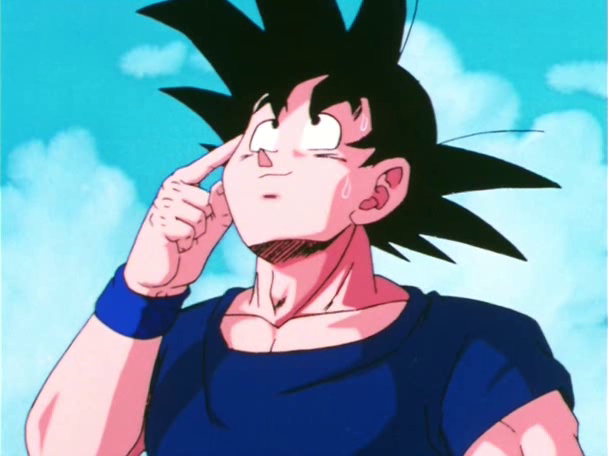 While not arrogant in his abilities (especially compared to Vegeta), Goku has a tendency to be too relaxed and recklessly challenge anyone he views as strong to a fight. 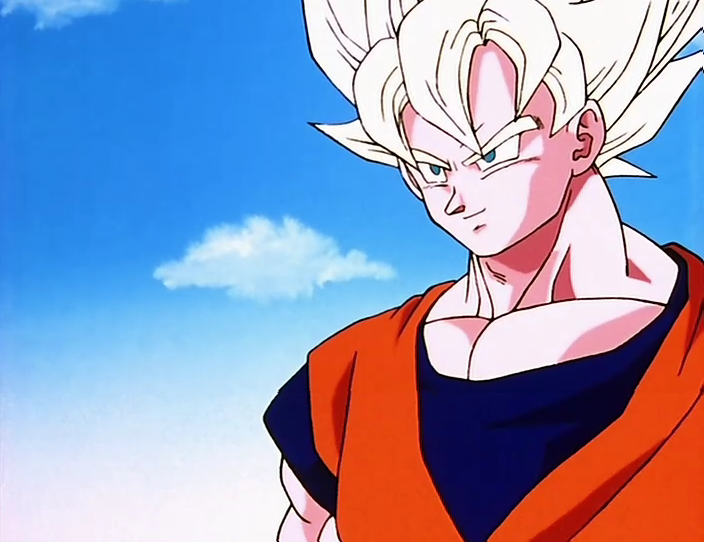 This combined with his naturally gentle nature can lead to him letting his guard down. 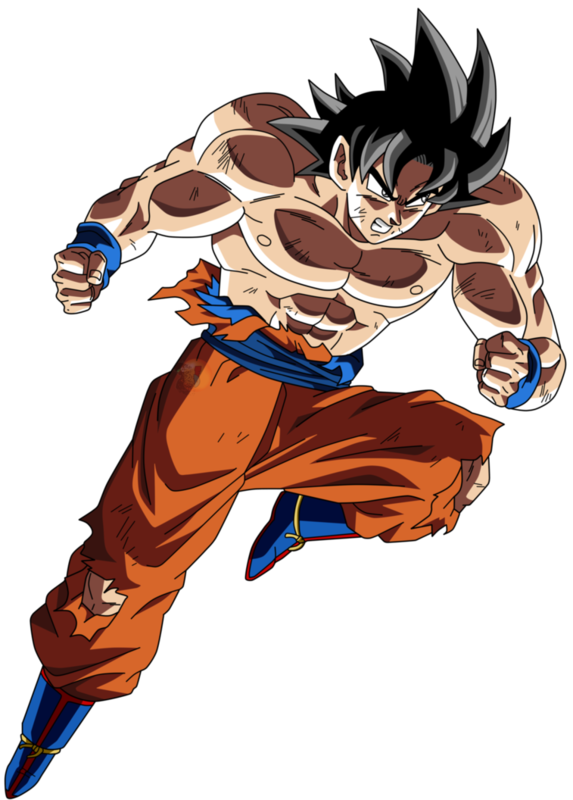 Goku is pure of heart, possessing no negative feelings or thoughts and highly loyal to his friends and family, even willing to sacrifice himself to save others as he did against Raditz and Cell. 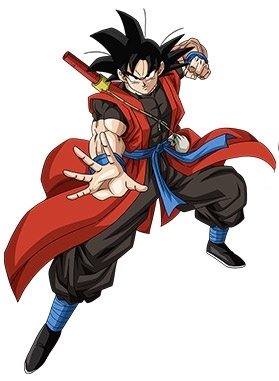 He has a very practical view on life and is goals in life are very simple and carefree, only seeking to test the limits of his might as a warrior. 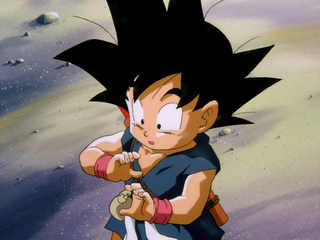 He is well-noted for his love of any food, which can be comical at times. 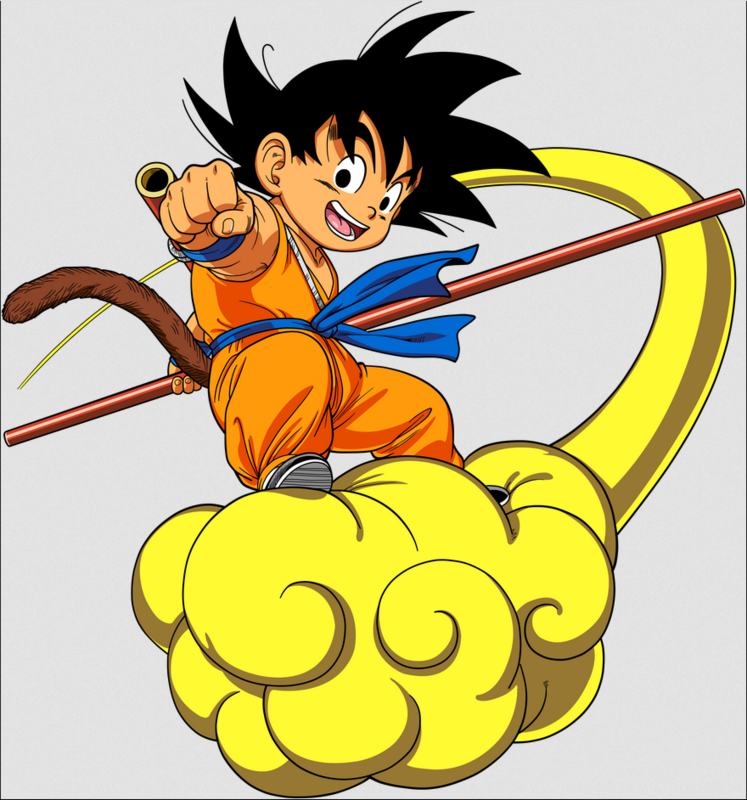 Everybody loves Goku... Whan an icon. 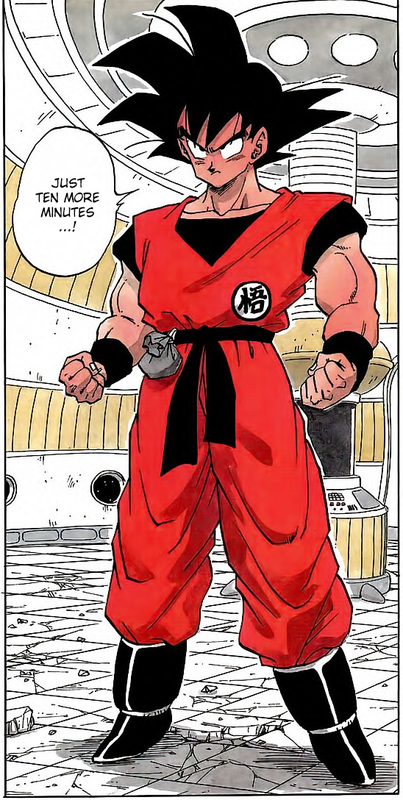 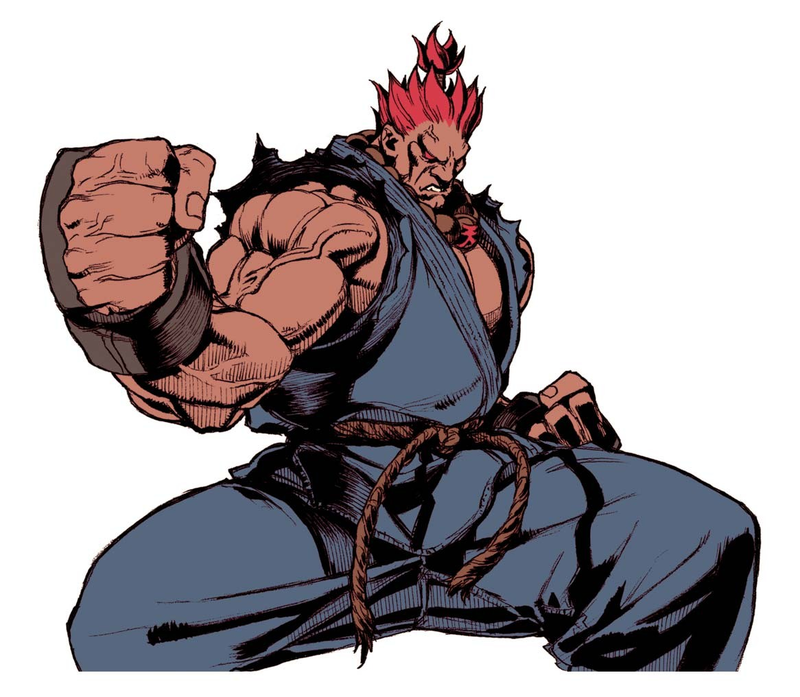 He inspired so many others martial arts-based characters from manga, fighting games, and beyond. 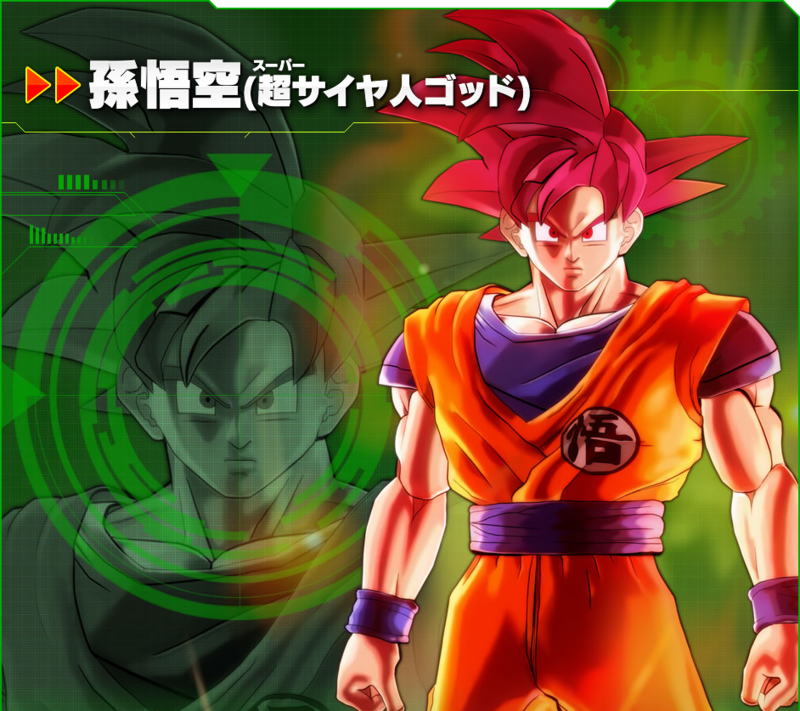 Not only his look, but his attacks and special moves. 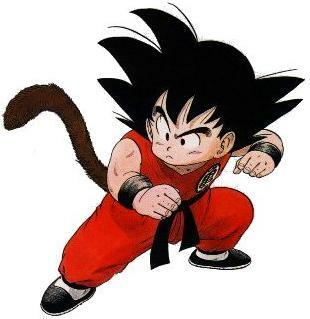 (Hadoken anyone?) 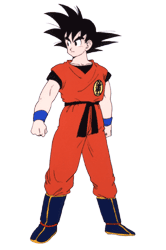 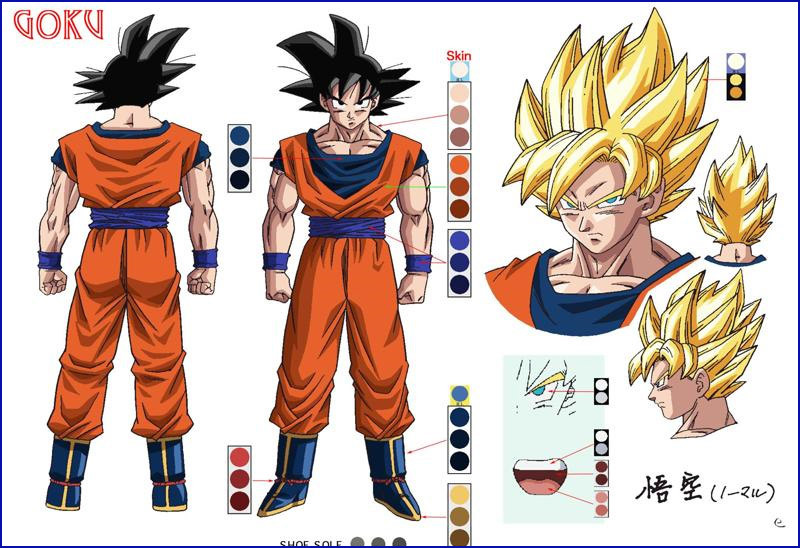 And in case you don't like regular old Goku, there are 37 other characters in the Dragon Ball universe who look exactly like Goku. 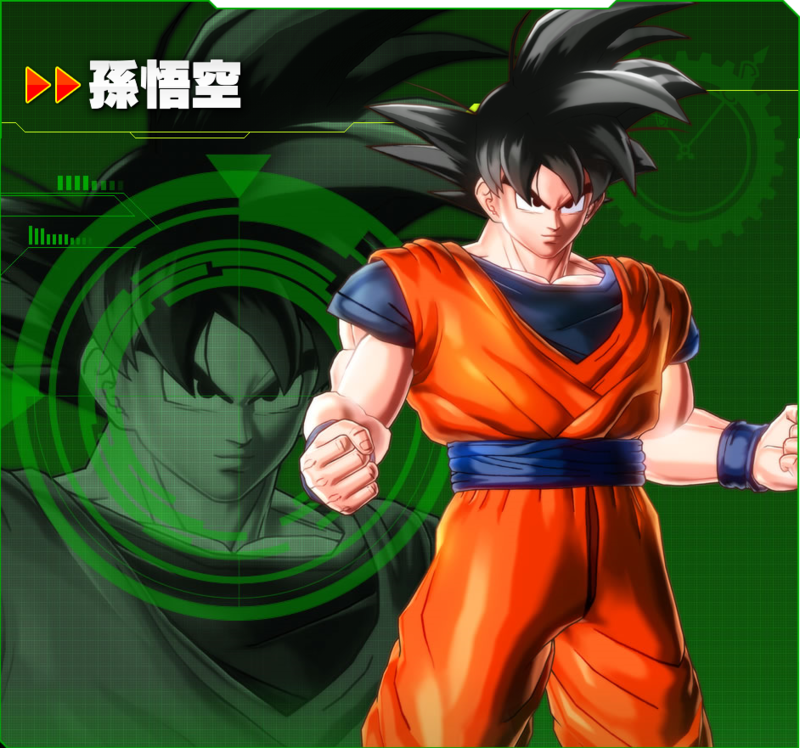 There's Goku with blue hair, Goku Black, Evil Goku, Fat Goku (is there? 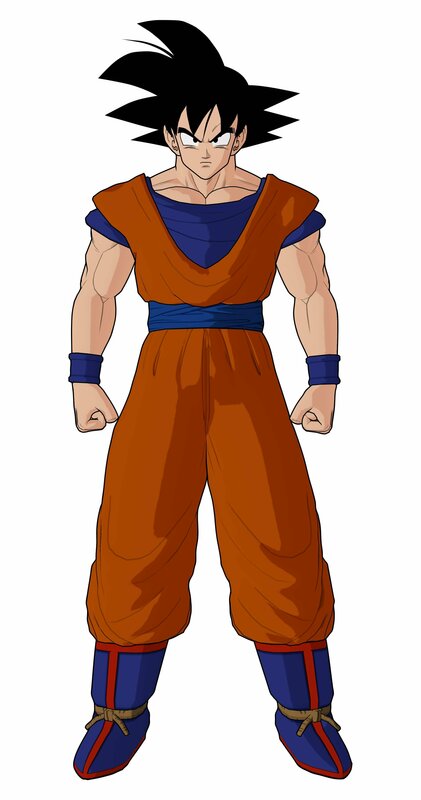 ), Gay Goku, Gokushina, and countless more. 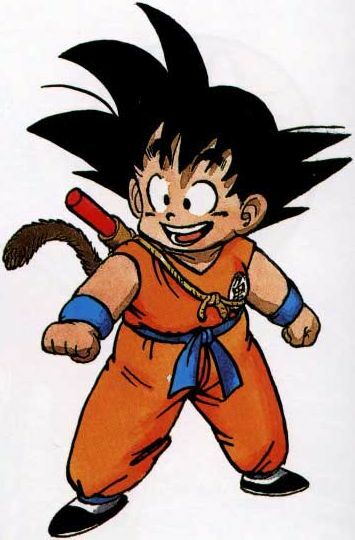 There's a Goku for everyone in the family. 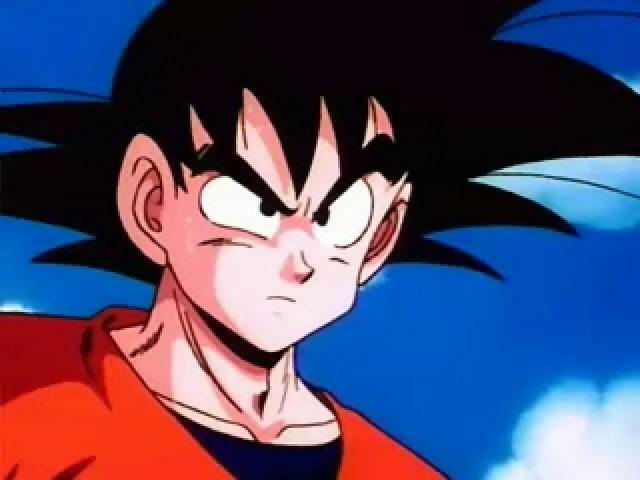 I'm sick of Goku... but not really. 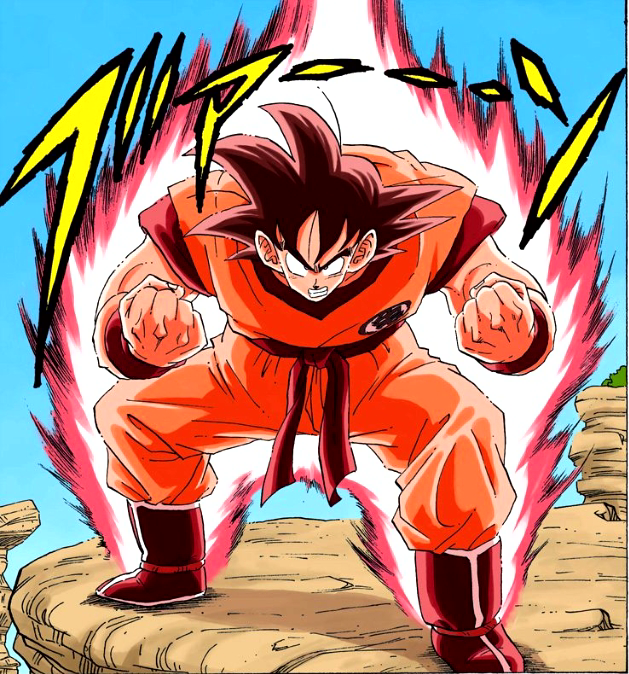 At the end of the day, Goku is a straight forward martial artist... and possibly too powerful for his own good. 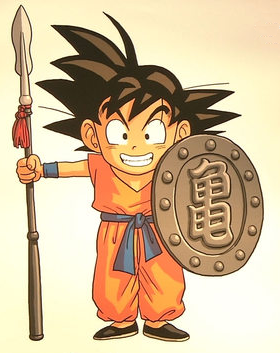 He's cool, comical and lovable, and never shies away from a good fight. 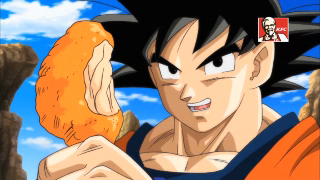 Gotta respect a fellow foodie, too. 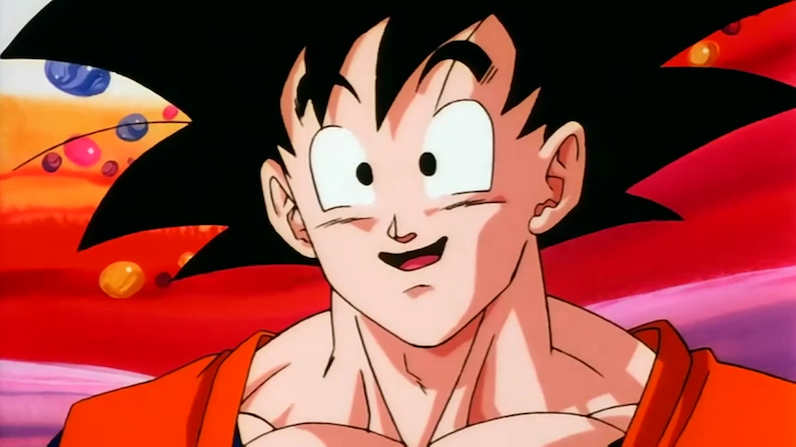 Ka Me Ha Me Haaave yourself a nice day.